How to apply Indigo Powder on hair? Henna cones made with 100% pure henna powder and essential oils. I ordered henna cones on my sisters’ wedding for making tattoos and we had a great experience and the dark color lasted longer. Do you authorize us to charge your card & auto deliver this product for selected period until cancelled? 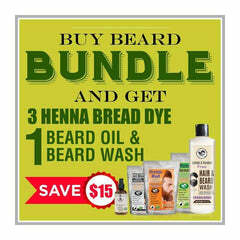 All natural raw, vegan & gluten free henna for hair, henna beard dye, beard balms, oils, organic & color safe shampoos / conditioners for hair and beard.